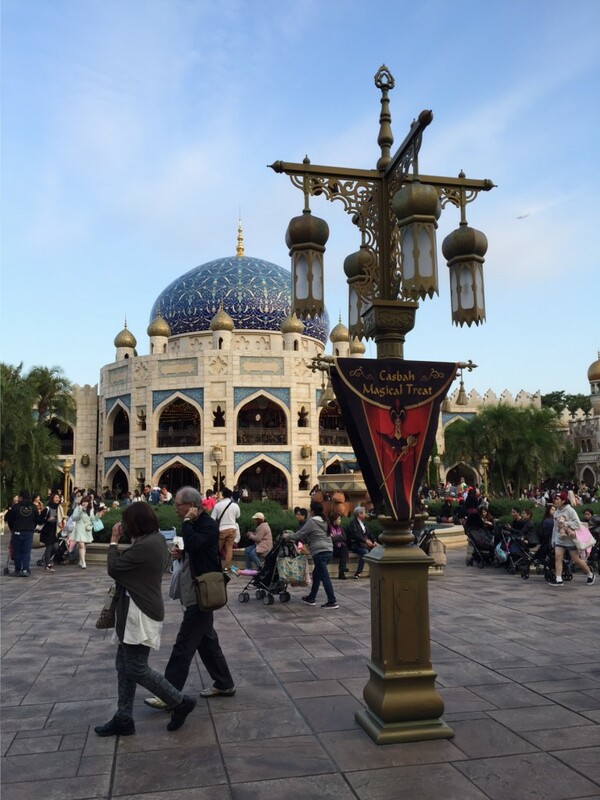 Tokyo DisneySea is a beautiful park – it’s easy to believe that you’ve been transported to another, very real place. 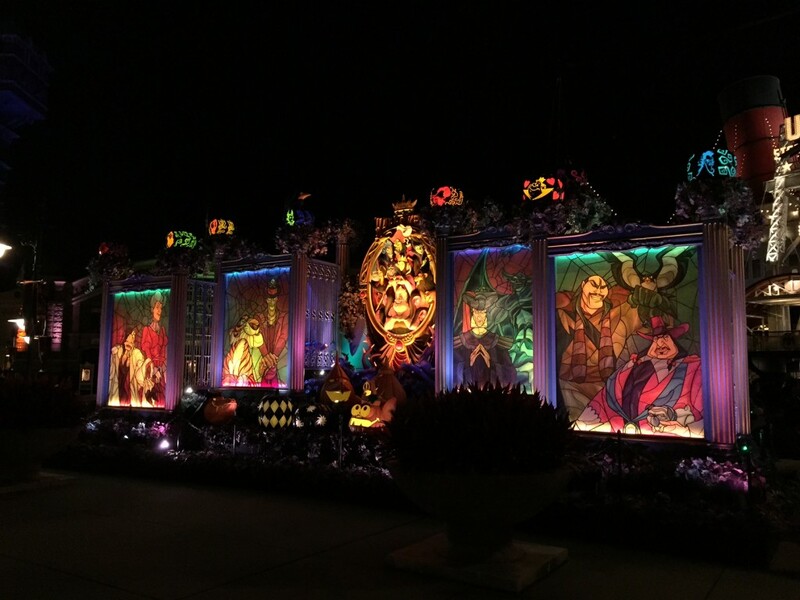 Halloween 2015 was a little subdued in terms of decorations compared to previous years, but it still looked pretty good. 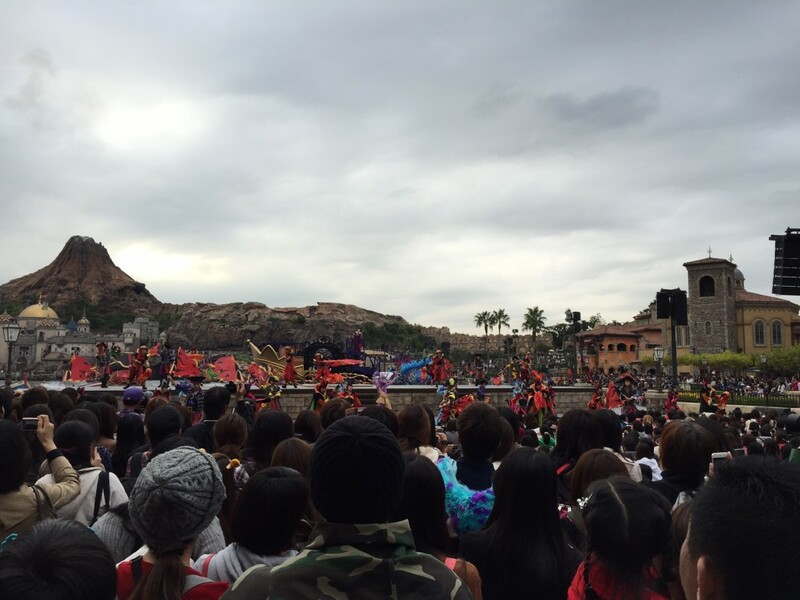 While Tokyo DisneyLand often takes the cake for the best parades, Tokyo DisneySea’s Halloween show was one of its best, with plenty of action, dancing and music. 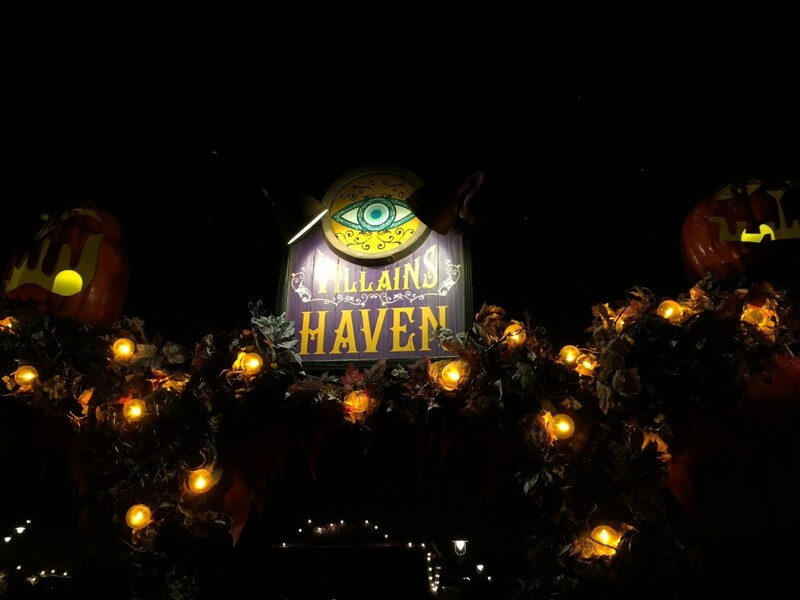 The Halloween performance ran three times a day during the season, out the front of the Mediterranean Harbor. 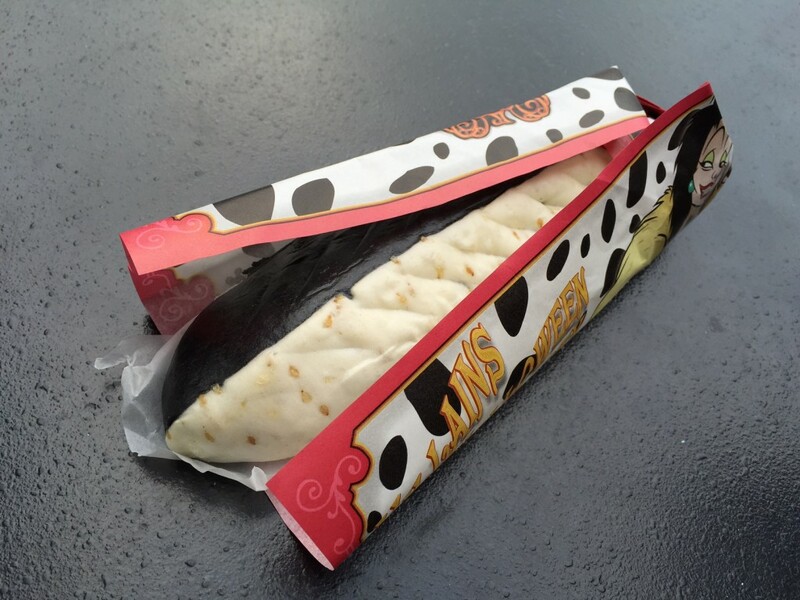 One of the most popular treats was the two-tone Cruella de Ville dumplings. 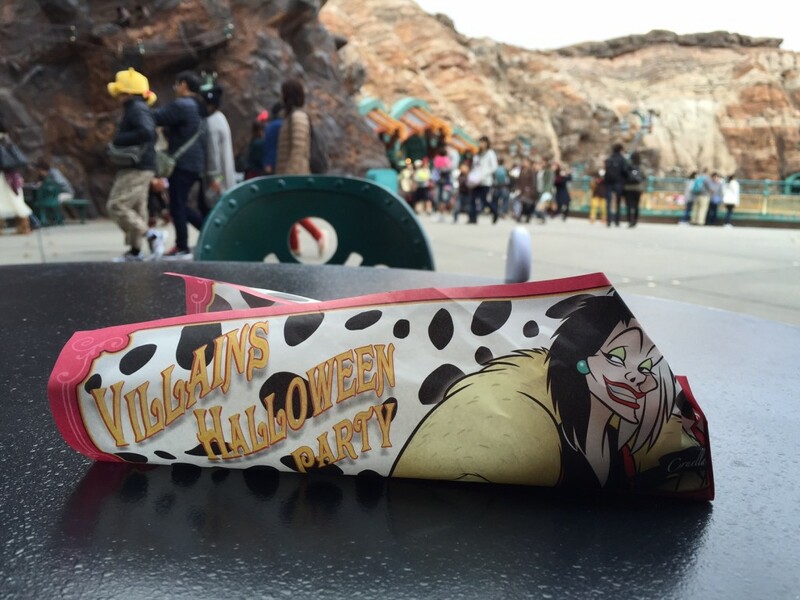 These are the same pork dumplings that are available at the Refreshment Station all year ’round, but dyed black on one side, and in ‘Villains Halloween Party’ packaging. 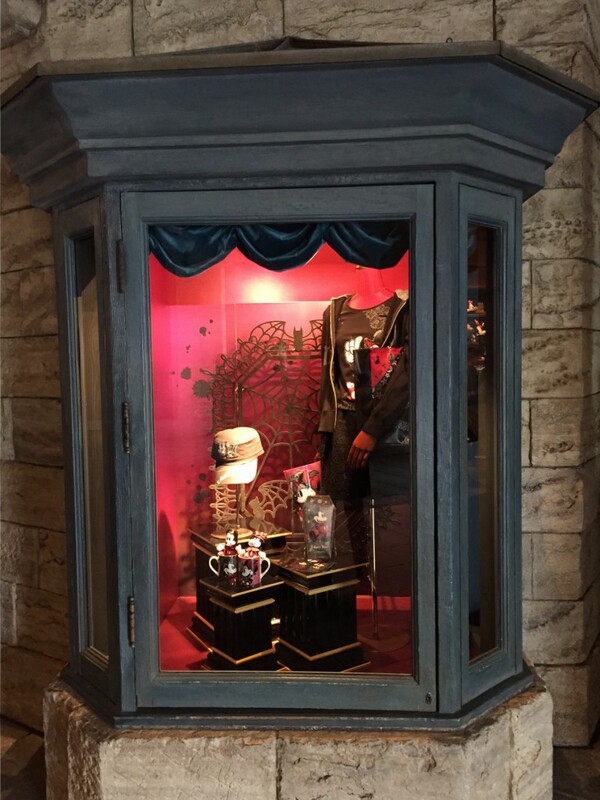 Even the inside was two-tone! 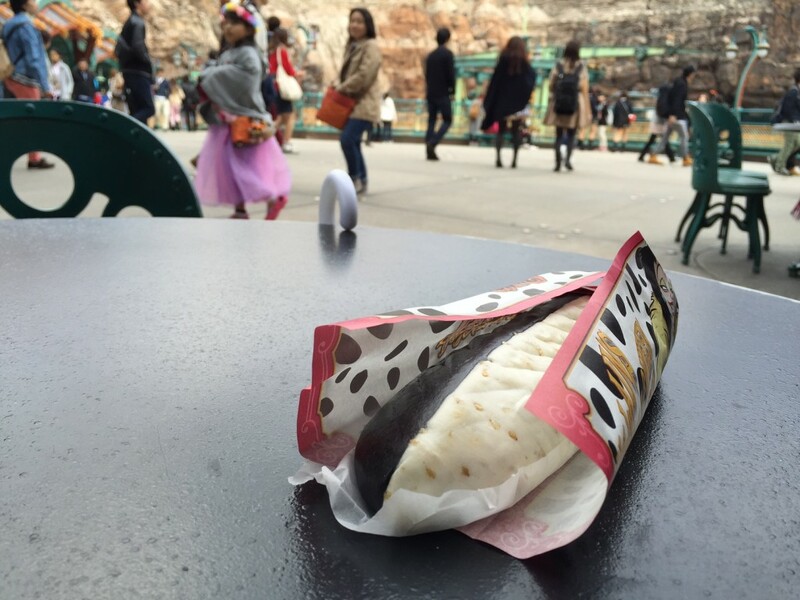 Lines for the dumplings at the Refreshment Station are usually pretty long, and with the Halloween two-tone dumpling, the lines were even longer. Staff handed out the below menu sheets to those lining up to purchase the dumplings. 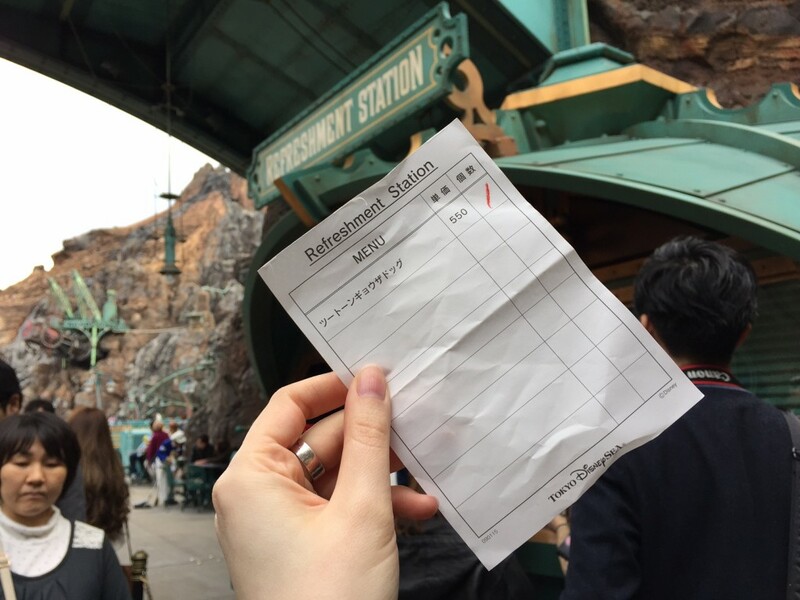 Yep, there is actually only one item on the menu at the Refreshment Station – they were obviously going to great effort to make the process of buying the dumplings as quick and painless as possible. Below is the Black Kouign Amann (a small, crumbly cake with a crunchy outside) with purple sweet potato (taro) paste filling. 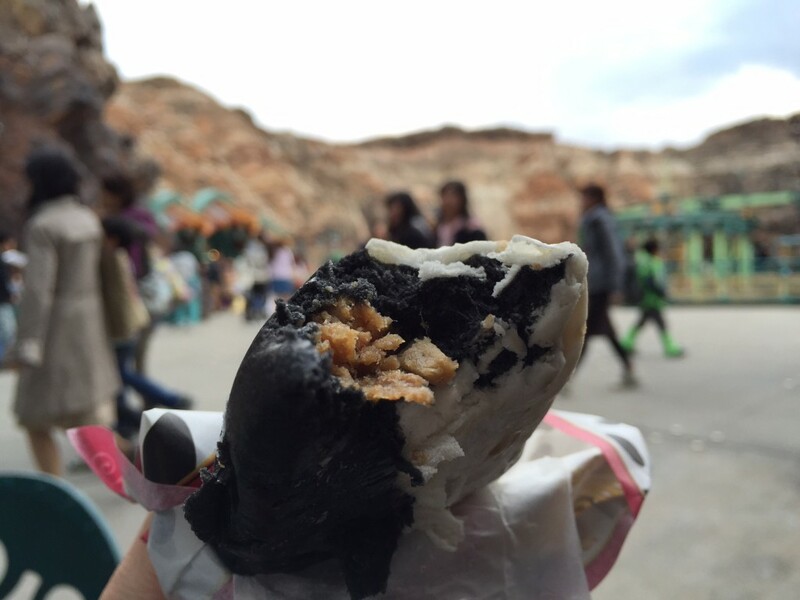 This gets my vote as the best Halloween snack at DisneySea in 2015. 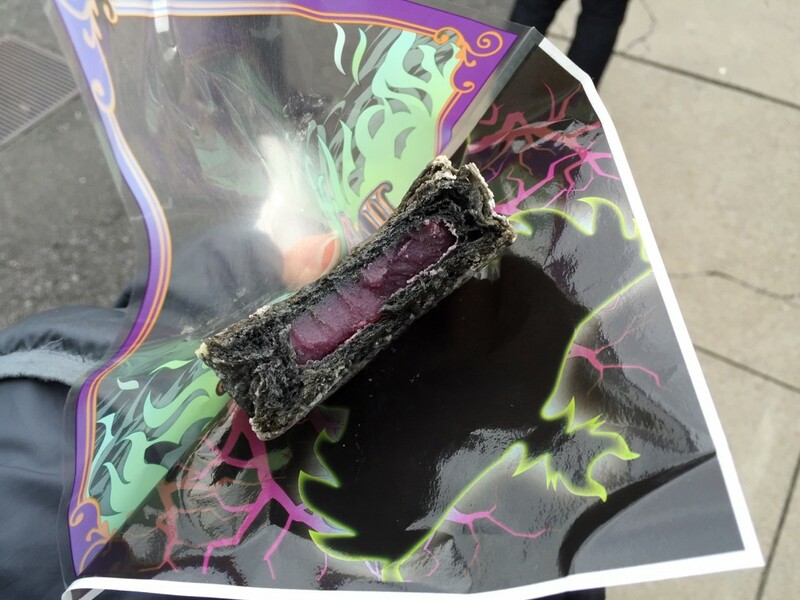 Not only did it look cool (black with a purple centre certainly wins some spooky points!) but it tasted great too. 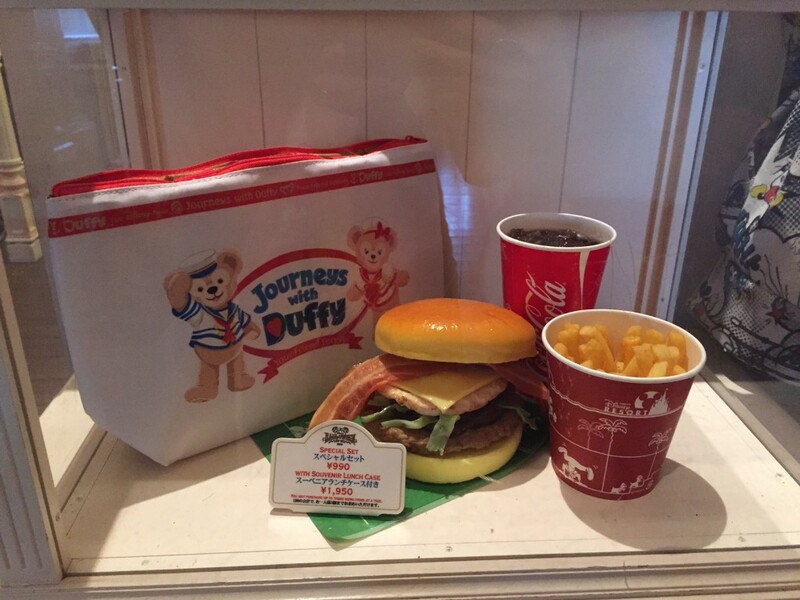 Below is the Mickey Mouse snack case with Smarties/M&Ms type chocolates. 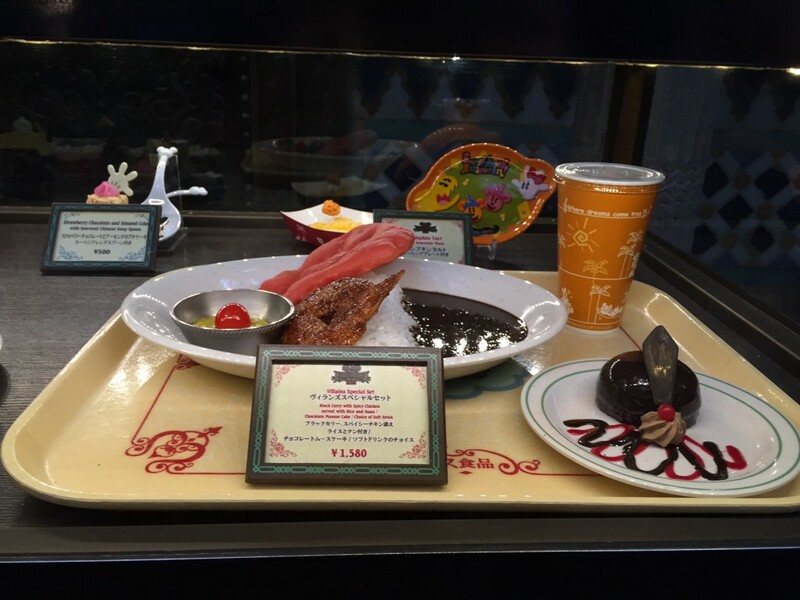 720 Yen seems a little steep, but it was too cute to not purchase! 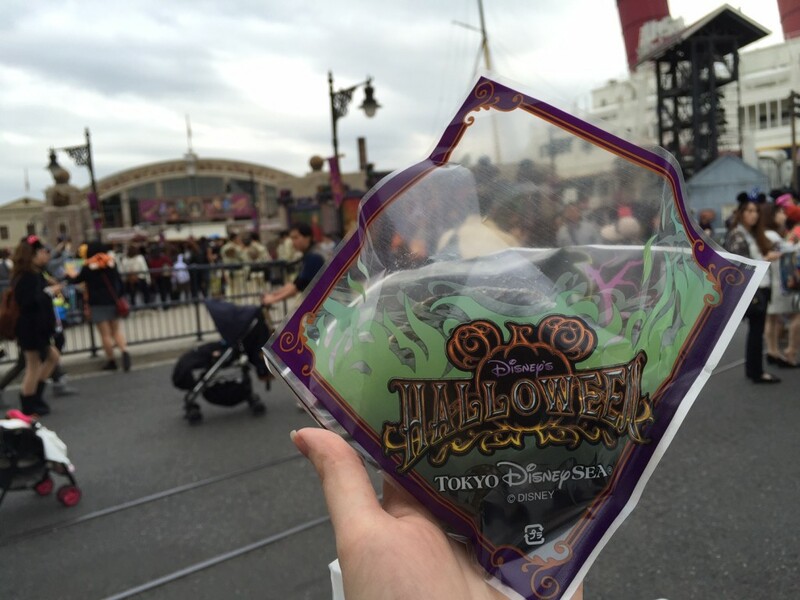 This was my favourite souvenir/snack combination of the 2015 Halloween season, and it was also available at Tokyo Disneyland. 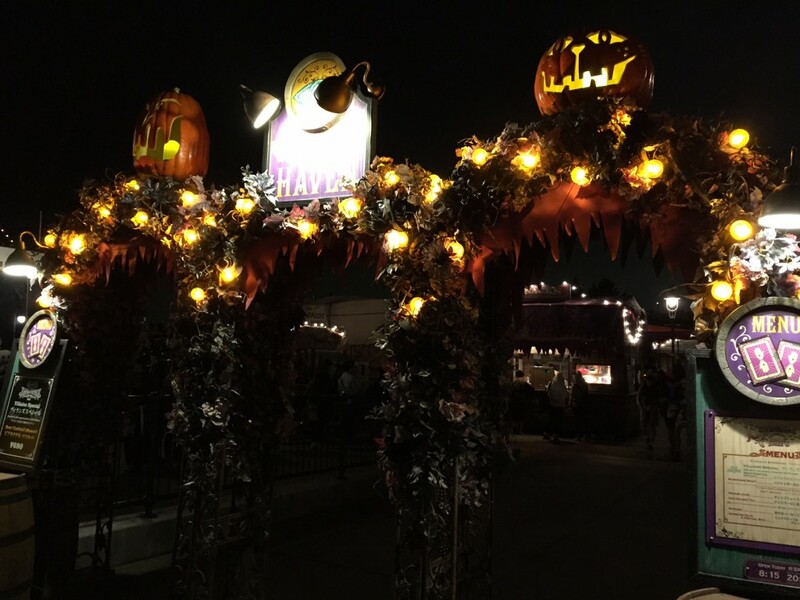 Below, Pumpkin Churros were available from the Open Sesame food cart. These didn’t taste very strongly of pumpkin, but they were quite nice. 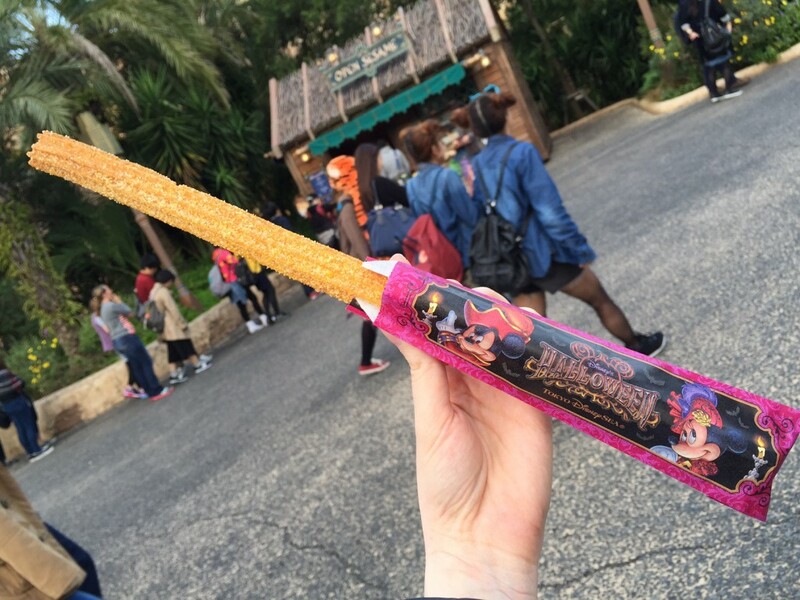 Pumpkin Churros were available in a couple of locations at each park. 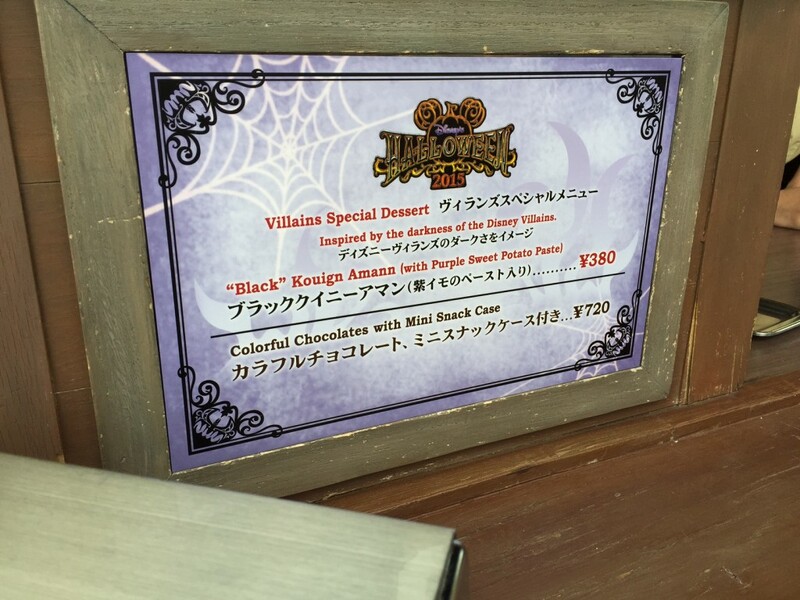 Below: Over in the Casbah Food Court, a better attempt was made at getting into the Halloween spirit with a special set – a Jafar inspired black curry and red naan, along with a very cool looking dessert. 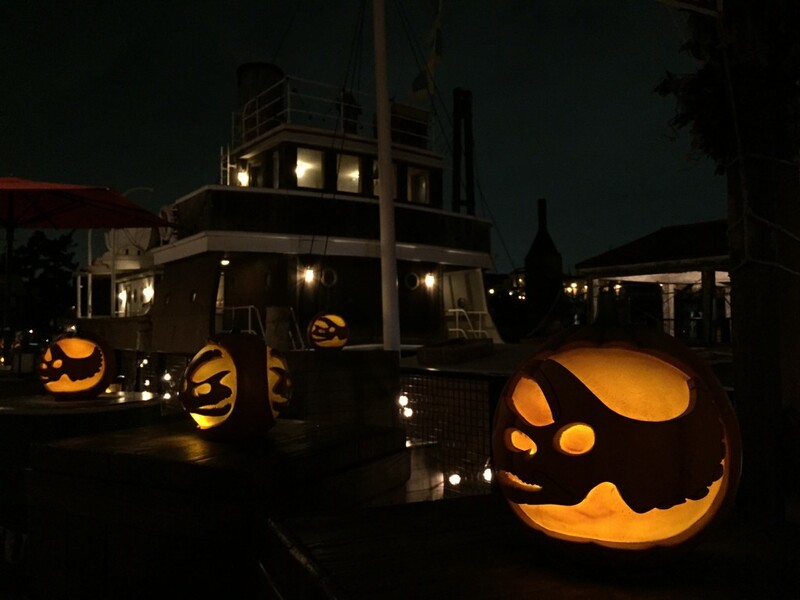 Below: Magellan’s restaurant also had a Halloween menu. 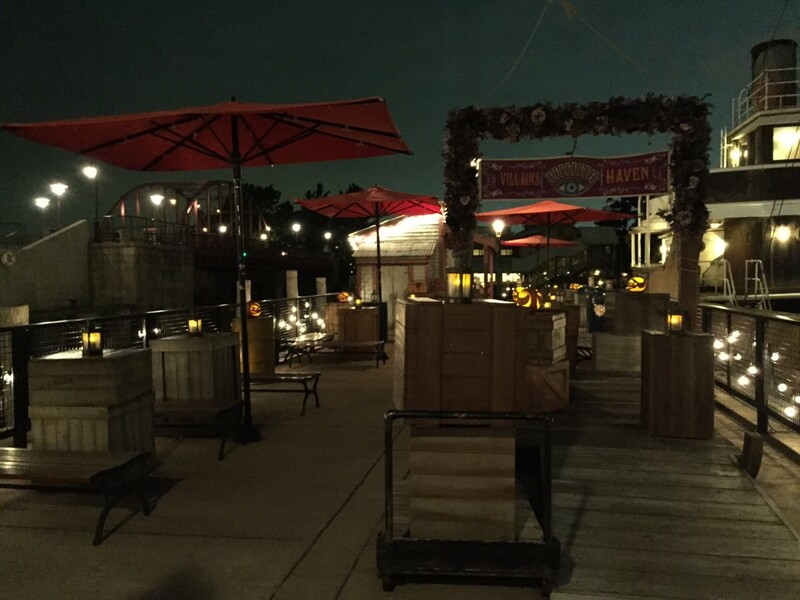 Again, I can’t tell you what this has to do with Halloween. Sometimes I feel like companies think they can put the word “Halloween” on anything and expect consumers to buy it (literally). I’m afraid if it’s not spooky, I’m just not convinced. 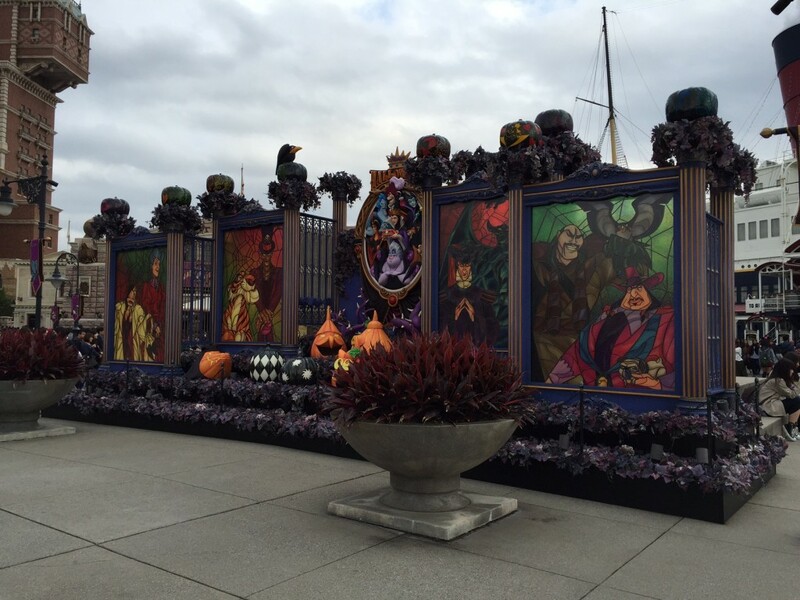 Below: Not strictly Halloween, but definitely worth a mention in case they bring this one back in future seasons. 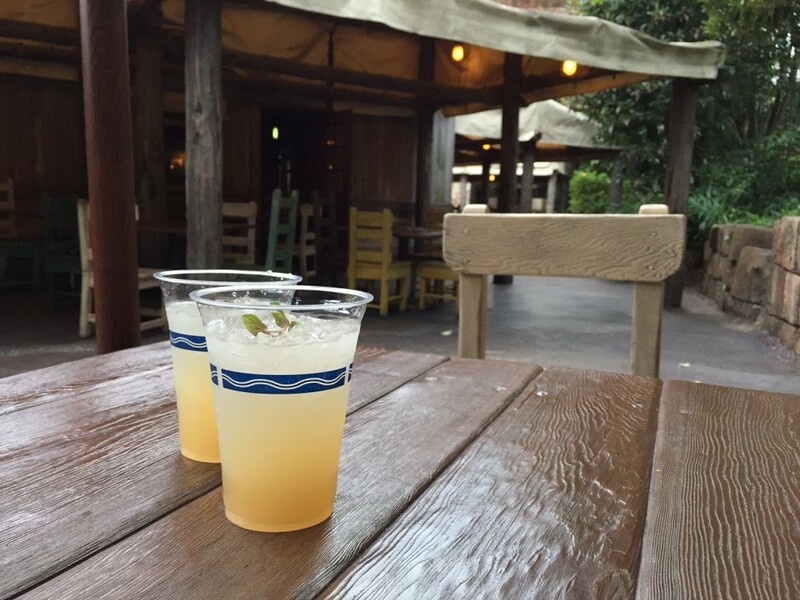 The Yucatan Base Camp Grill in the Lost River Delta area had a delicious sparking peach cocktail. 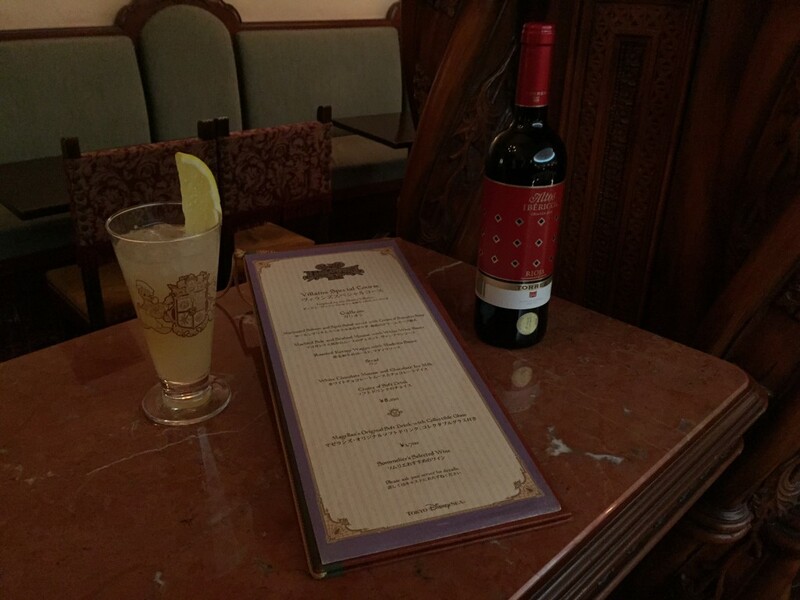 The staff member who served us warned us to be careful as it’s very alcoholic – too bad my Japanese language skills aren’t advanced enough to reply, “That’s okay, we’re Australian”. 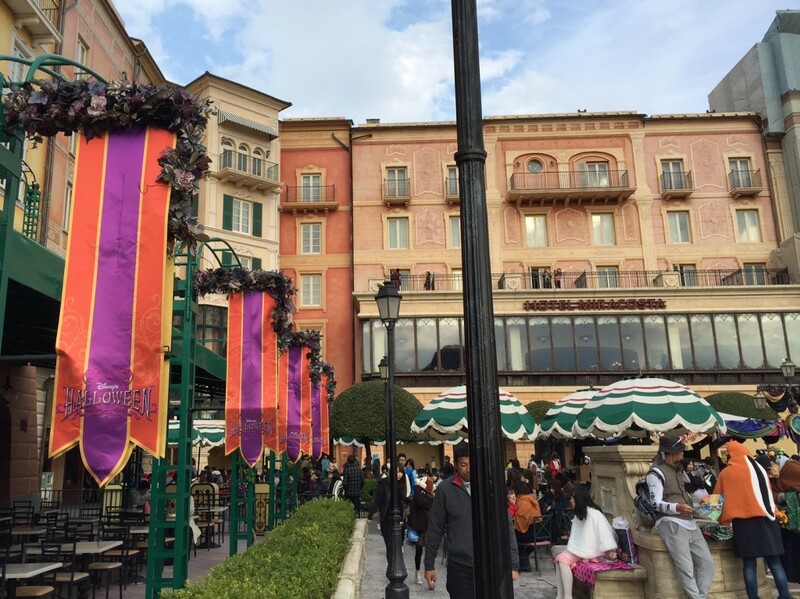 That’s it for my round-up of Halloween at Tokyo DisneySea 2015. 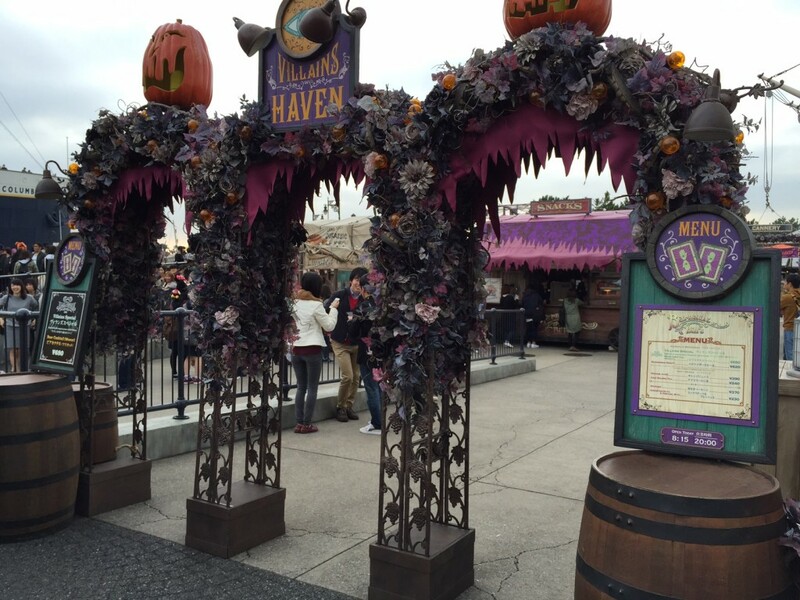 To read about Halloween at Tokyo Disneyland 2015, click here. 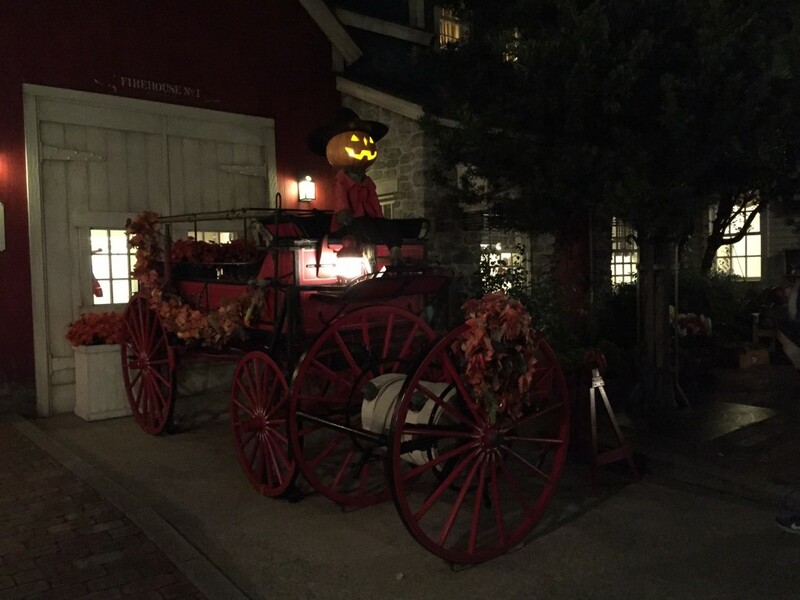 The Halloween season has now finished for 2015, and the Christmas season has commenced. 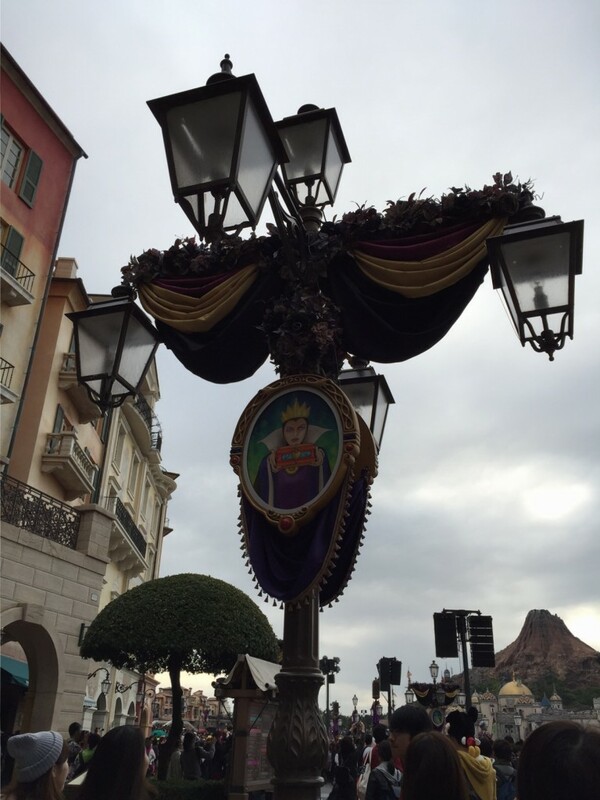 You can find my posts on the start of the Christmas season at Tokyo Disney Resort here and here. 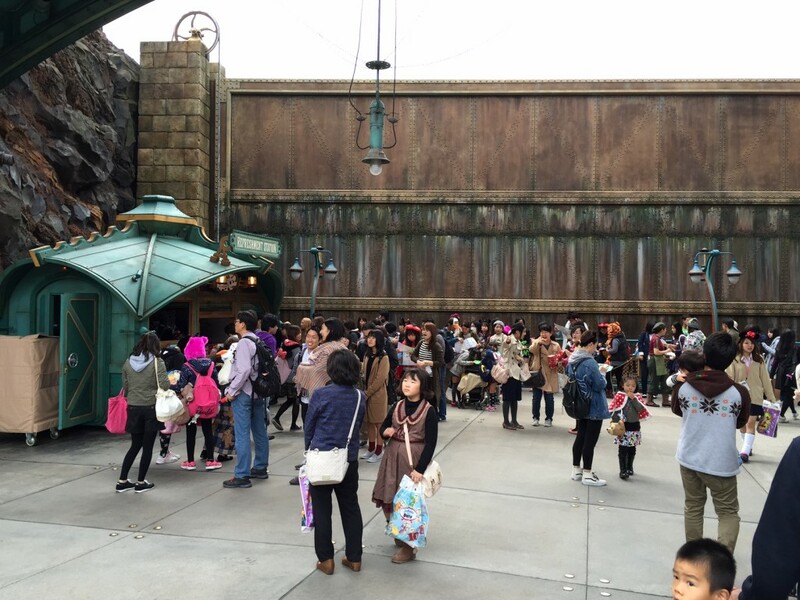 Do you happen to know how crowded it gets on Halloween day October 31st at Tokyo Disney sea? 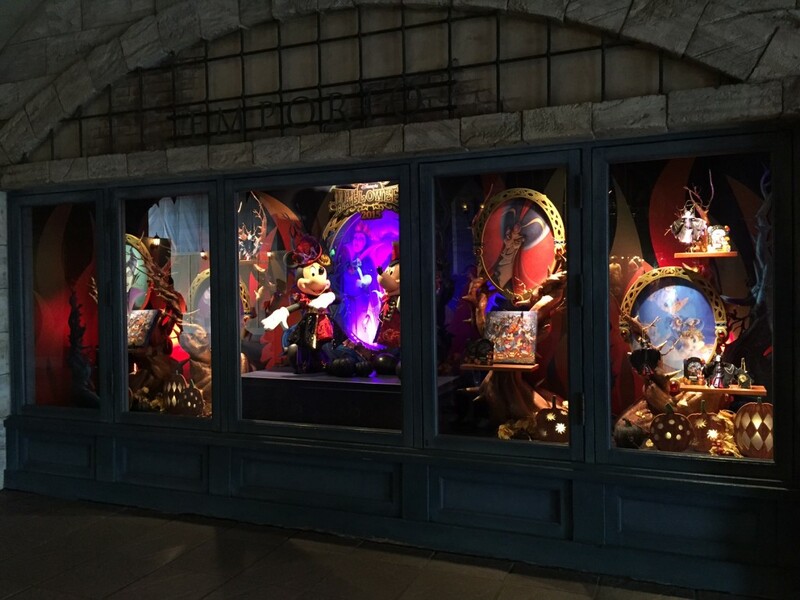 I’ve been to Tokyo Disneyland on the day of Halloween, and while I haven’t actually spent October 31 at DisneySea, I have seen a bit of it from the hotel within DisneySea. 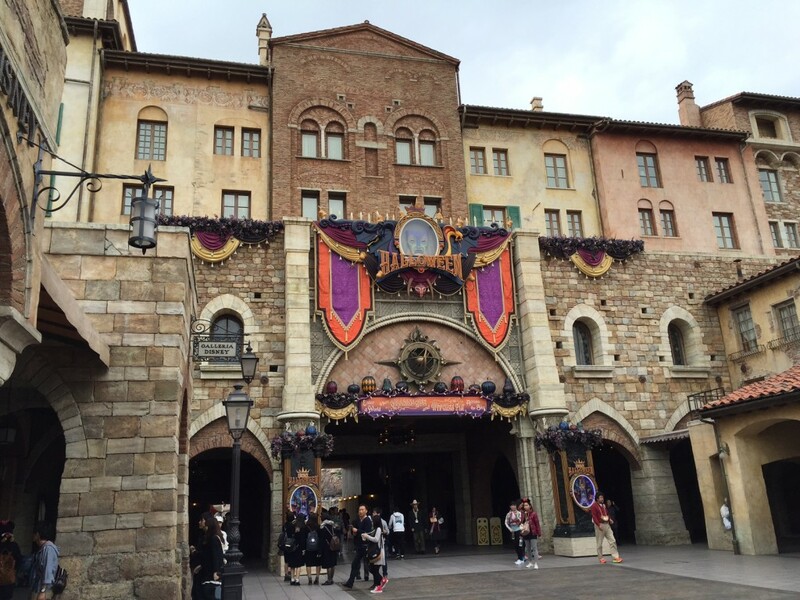 From this, I can say that DisneySea is much less crowded than Disneyland on the day of Halloween. 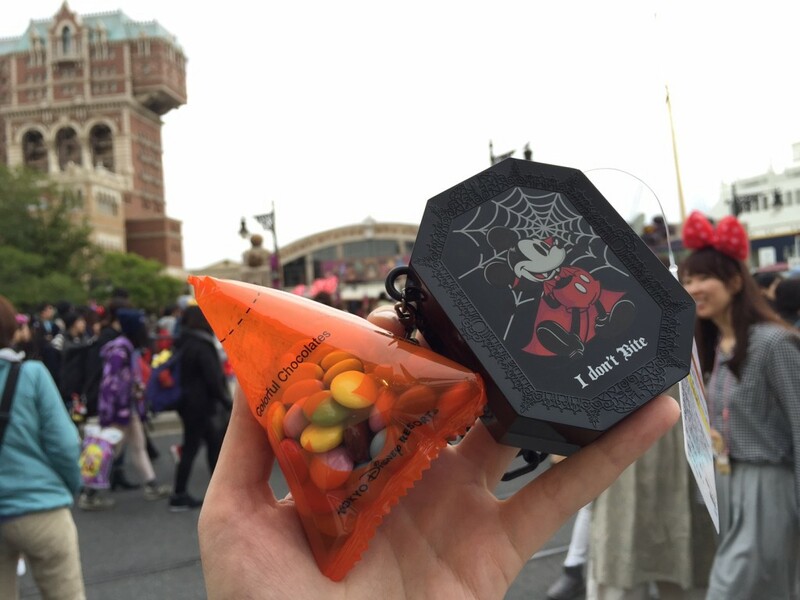 This is because in the final week of October, Tokyo Disneyland allows adults to wear costumes – Disneyland is therefore more popular than DisneySea that week, and especially on the day of October 31 (there is also a week when adults can dress up at DisneySea, but it’s not the week that coincides with the actual day of Halloween).